Tell me who your heroines are and I’ll tell you who you are. 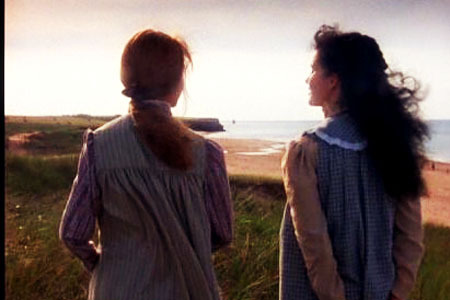 Jane Austen‘s Elizabeth Bennett may have been the one who taught me not to give a damn what other people think (of which I am eternally thankful) but it was Lucy Maud Montgomery’s Anne Shirley who taught me the beauty of… thought. From then on, and straight through to this day, there are few places I’m happier than in the comfort of my own dreams. Nor in the singular adventure of their pursuit. And, like all truly great pieces of art, you are able to reinterpret and reinvent Anne’s meaning the older you get, the wiser you get. Truly appreciating the gems that were always there— simply waiting for you to catch up. Parental punishment for me wasn’t taking away the TV or the phone or not letting me play outside—it was taking away my books. And when it was Anne, the tears of protest wouldn’t stop. She was, and is, my bosom friend. Iridescent with hope while plagued with sadness, Anne’s verisimilitude and conviction of character was a lesson I have never forgotten, and, although I have never quite been able to emulate it, have so often and so dearly wanted to. It is hardly surprising then that the classic Canadian miniseries from 1985 starring Megan Follows and Colleen Dewhurst was an absolute institution in my household, as I’m sure it was for scores of other like-minded wee lasses. My VHS tape replayed to terribly often that it drove my father crazy—and left the video tape warped and wilted. For me that adaptation ranks right up there with the BBC’s 1995 Pride and Prejudice and their 1983 telling of Jane Eyre … and is an integral thread in my childhood’s fabric. ‘Always the bend in the road.’ Ah, me. 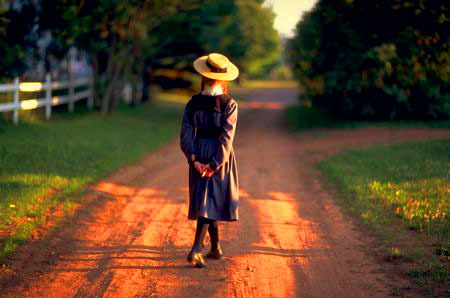 As far as role models are concerned, few are more inspiring than Lucy Maud Montgomery’s dear Anne Girl. 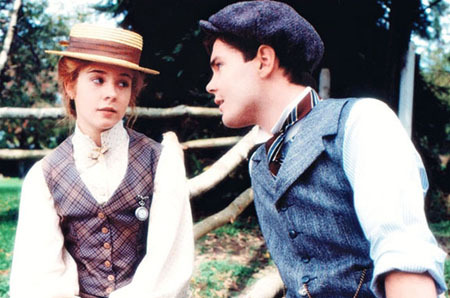 I remember this movie and book from when I was little – I was every bit as entranced with Anne and her story as you are! Incredible color in the top image of your post — the rusty road/bright green grass/hint of blue in background/yellow straw hat — fantastic. I’d love to be able to get that kind of eye-candy on color images. What was the source? Screen cap? Scan? Any added enhancements? Not asking for you to divulge any “secret recipies,” of course. I’m getting a little bored working with so much B&W . . .
No secrets here, Gene! It’s a photo still, but I use a photo-editing program called Aperture that’s really is quite amazing when it comes to color correction. You are toooooo sweet, Robby!! 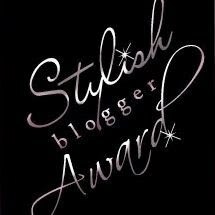 Thanks so much for thinking of me, I really am deeply flattered!